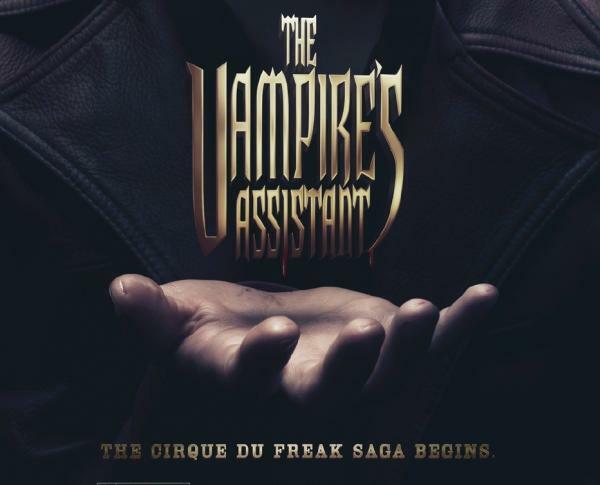 At long last the trailer for the movie adaptation of the popular book series Cirque Du Freak is out. The 12 book series by Irish author Darren Shan is about a boy who is also named Darren Shan (since the series is set in âtrue storyâ mode) and his adventures with a wild circus full of supernatural beings such as vampires, a âsnake-boyâ and an assortment of many others, as well as his journey through, well â¦vampire-hood if you will. The book series itself has an innovative and fascinating take on vampires. One new thing being the vampires in this series donât bite and prey on humans. In fact they donât even have fangs, instead they have long, hard and very sharp nails which they use to make a small cut on a human to take a small sip of blood (as the trailer shows). They never kill humans, for if they do that then they become the evil anti-vampire, the vampaneze. Iâll leave you to wonder what the vampanese are not to spoil the fun for you. Darren Shanâs vamps are new and fresh, creative and much more different and interesting than the average vampire in entertainment. Instead of being savage and raw they are traditional and prideful and hold their honor above all else. This new spin is one of many reasons to be excited over this upcoming movie. Give the kiddies (and adults) a new vampire to swoon over and admire, although, this isnât your classic star-struck lovers story that most tend to be, more like a âholy sh–, that is so messed upâ story. The movie also boasts a few big name actors like Willem DaFoe and Salma Hayek, as well as 30 Rockâs Jane Krakowski. I loved this book! I really hope they don’t eff it up in the movie. The book was so violent though, the movie has to be rated pg-13 at least. Unless they dumb it down. the books. the movie. i love both..
i love the movie .i’m looking forward to the next. The movie was nothing like the books. Such a shame. Saw the movie many times and have read all the books. The books like most other movies based off of books are so much better then the movie itself. As this movie combines the first 2 books into one movie.